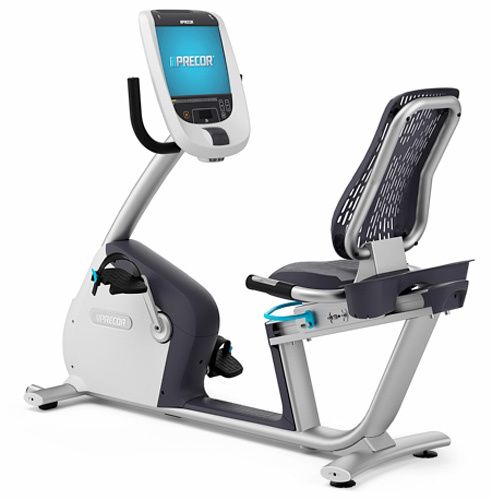 Incredible design and commercial-grade parts create the smooth and natural feel that has made Precor a favorite in health clubs all over the world. New touch consoles, convenience features and integration with the Preva® network fitness app give you a personalized workout experience second only to a personal trainer. Now, it’s easier than ever to get a health club quality workout at home. Financing Deals Are Going On Now - 36 Month Interest Free Loans provided by Greensky. Contact us for a quote and financing application link. Easy application and high approval rates. 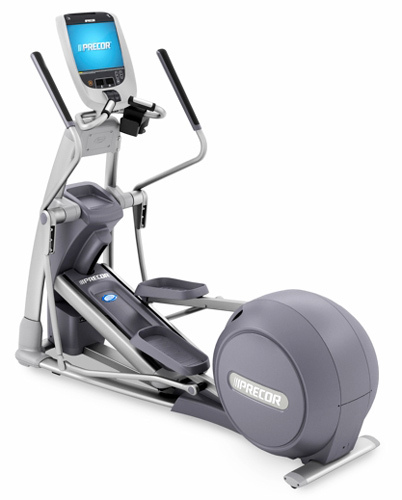 Get your Precor Treadmill or Elliptical today! 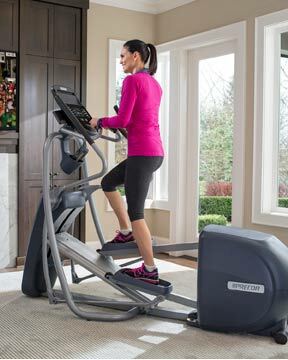 Featuring moving handlebars and a ramp incline optimally set at 20 degrees, the EFX® 811 offers users a dynamic workout that complements active lifestyles. 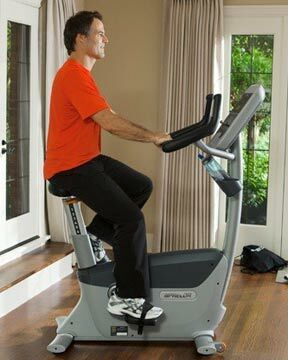 The EFX® 815 combines the benefits of CrossRamp® technology and upper body moving handlebars for a total-body workout. 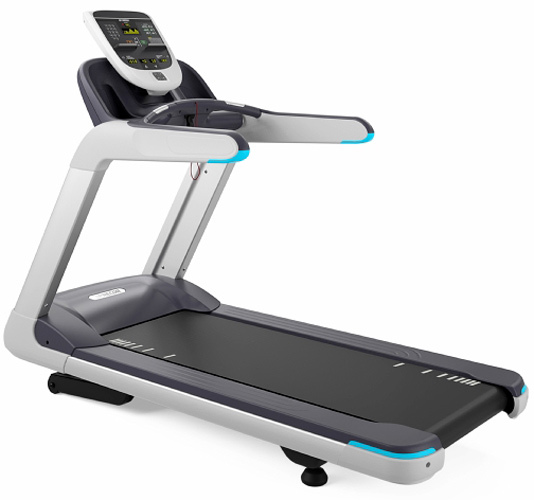 CrossRamp technology, unique to Precor, offers ramp inclines from 13 to 40 degrees, which allows users to target different muscle groups. With the unique Precor CrossRamp® technology, users can alter the path of the EFX® 833 between 13 and 40 degrees in both forward and reverse stride motions, cross training various muscle groups to offer a wider range of workouts focused on the lower body. 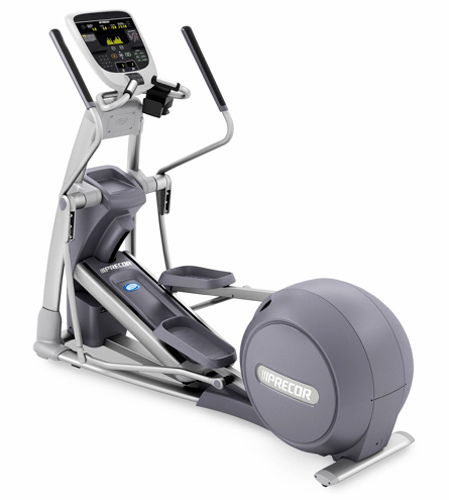 The EFX® 835 combines the benefits of CrossRamp® technology and upper body moving handlebars for a total-body workout. 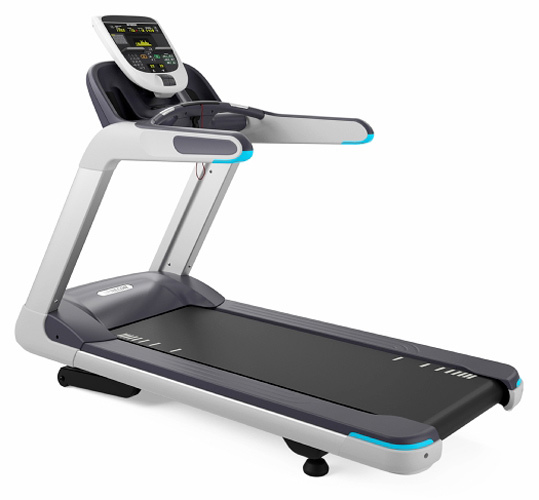 CrossRamp® technology, unique to Precor, offers ramp inclines from 13 to 40 degrees, which allows users to target different muscle groups. 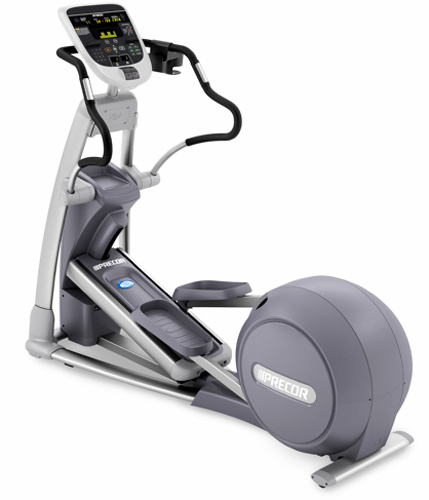 With the unique Precor CrossRamp® technology, users can alter the path of the EFX® 883 between 13 and 40 degrees in both forward and reverse stride motions, cross training various muscle groups to offer a wider range of workouts focused on the lower body. The new TRM 811 delivers exercisers a smooth and natural performance with next generation Integrated Footplant™ Technology (IFT) and Ground Effects® Impact Control (GFX). Facility operators will experience exceptional durability and optimal performance. 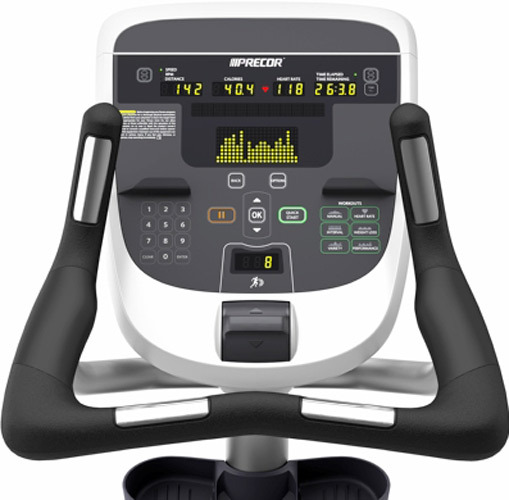 The contemporary, thoughtful design of the new Precor TRM-835 delivers exercisers unparalleled feel and quiet operation while facility operators experience optimal performance and durability. The Active Status Light alerts facility staff at a glance to the operating status of their treadmills. 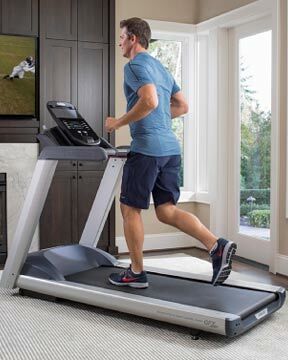 The insight-driven design of our new TRM 885 treadmill delivers optimal performance and durability for operators and unparalleled feel and quiet operation for exercisers. 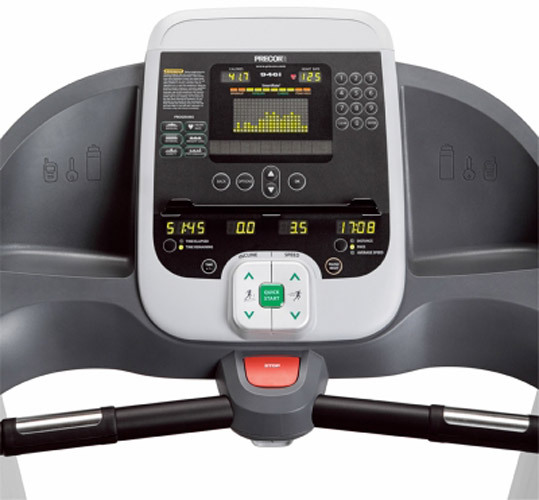 Equipped with an Active Status Light, facility staff is alerted to the operating status of the treadmills at a glance. 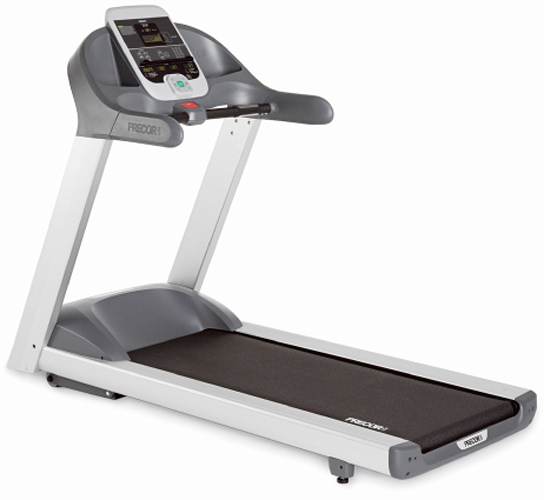 The 932i is a durable, low-impact treadmill and includes the essential features members need in an affordable package. Equipped with Integrated Footplant Technology™ (IFT) and Ground Effects® (GFX) impact control system, users are ensured a dynamic and rewarding workout. 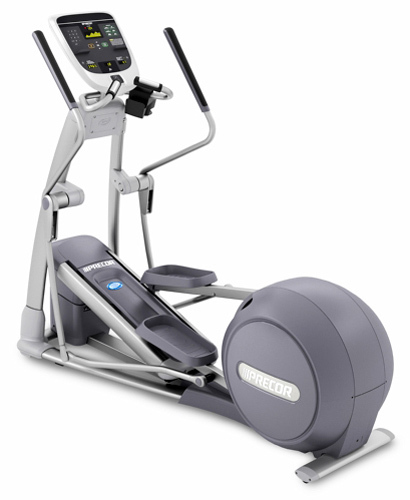 High style meets a low-impact workout in the 946i treadmill. 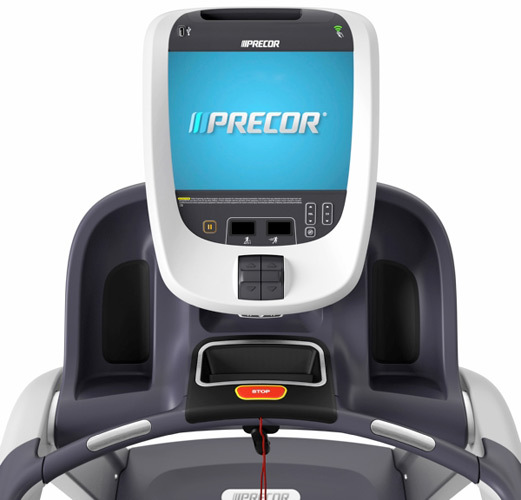 As with all Precor treadmills, the 946i comes standard with Integrated Footplant Technology™ (IFT) and Ground Effects® (GFX) impact control system. 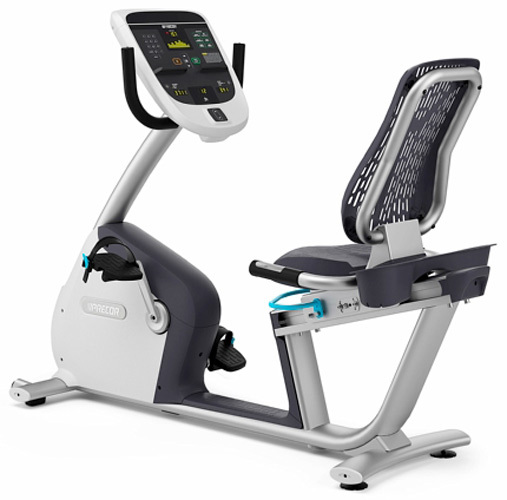 The RBK 815 recumbent bike features a step-through design to appeal to users of all ages. The simple seat adjustment allows the user to change the position of the seat with one hand, either on or off the bike. A ventilated air flex seat provides exceptional comfort. MSRP $4,095. 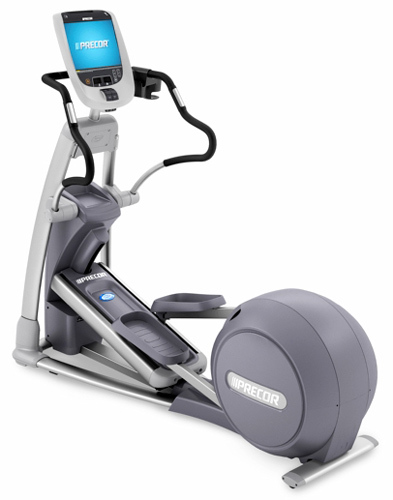 The Precor RBK 835 recumbent bike features a step-through design to appeal to a wide range of exercisers of all ages. The simple seat adjustment allows the user to change the position of the seat with one hand, either on or off the bike. A ventilated air flex seat provides exceptional comfort. 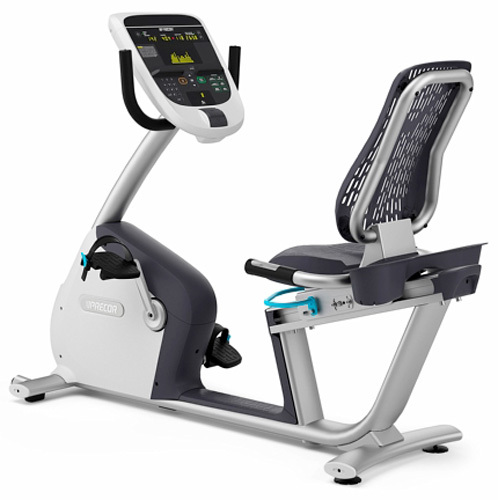 The RBK 885 recumbent bike features a step-through design to appeal to a wide range of exercisers of all ages. The simple seat adjustment allows the user to change the position of the seat with one hand, either on or off the bike. A ventilated air flex seat provides exceptional comfort. 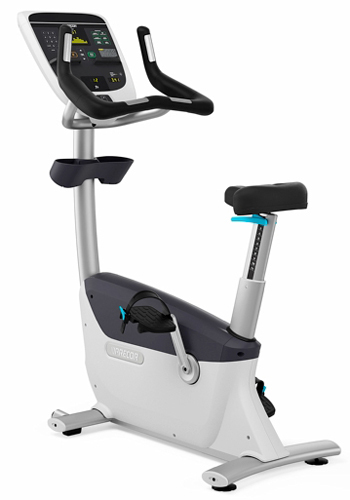 The self-powered UBK 815 upright bike features custom-designed handlebars with integrated handheld heart rate for maximum comfort and efficient workout experience. One-handed seat adjustment on or off the bike, redesigned saddle for riding comfort, and improved knee over pedal spindle (KOPS) geometry for efficient pedaling mean a smooth, comfortable workout.